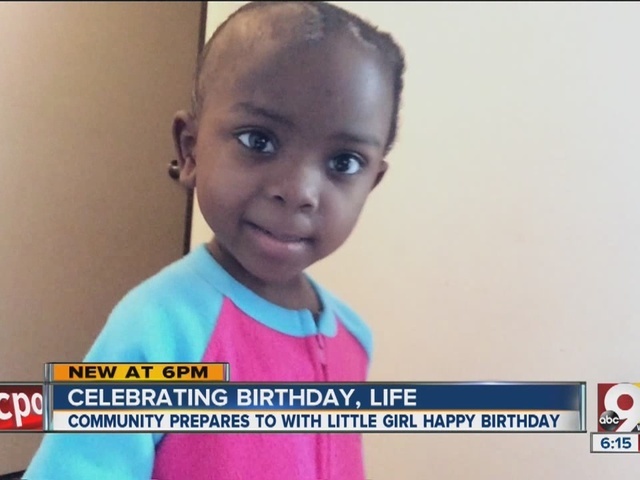 CINCINNATI -- Janiyah Williams' birthday party on Monday night might be her last. At least that's what doctors tell her family; they're still holding out hope for a miracle. 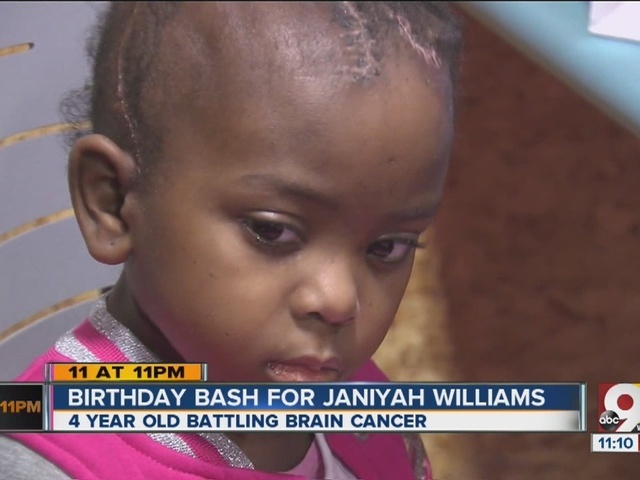 Janiyah, who just turned 4 years old, has stage four brain cancer in the form of a SPNET tumor. She's already been through seven brain surgeries, her family said. "Each time, the tumor has repeatedly come back. That's where the scars come from," said her mom, Dianna Malone. "We just found out that it's grown and spread to a different part of her brain. Right now, the doctors are giving us a year." A family friend heard how few birthdays the child will get to celebrate with her family, so she organized a birthday bash at Bee-Active in Cincinnati Mills; donations from friends and local companies paid for the party. "We know that she won't go to prom, she won't graduate from high school, so we trying to do things to make her happy," her mom said before the party. "We're trying to go the extra mile to make sure we can do that." Janiyah wore a pink tutu and a big smile. Her grandmother, April Jones, said Janiyah is a fighter. The girl is too young to understand what's happening, but her family said every day they have with her is a blessing. "They only gave her a year to live, but God has the last call," Jones said. The family friend also set up an account at Fifth Third Bank to help the family with expenses; donations can be made at any branch to Dianna Malone for Janiyah. You can watch the videos above to hear from the birthday girl herself about her special day.